It looks like Andy Rubin’s Essential isn’t quite dead yet. Despite earlier rumours stating Essential has scrapped plans for a new Android smartphone, a new report from Bloomberg’s often reliable Mark Gurman indicates that the company is still working on a new device — though this time the smartphone is set to rely heavily on AI. 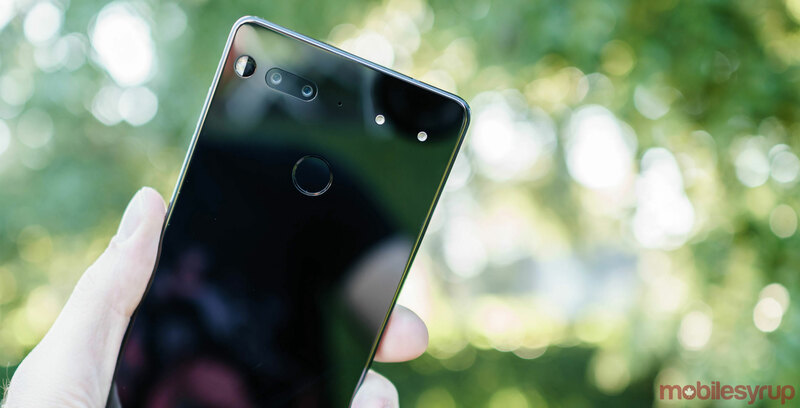 While the original Essential PH-1 was generally solid, especially in the Canadian market given its relatively affordable price tag and high-end specs, the device initially suffered from serious software and camera issues. Even though the smartphone has gotten a lot better thanks to frequent software updates from Essential, the PH-1 hasn’t been able to shake that initial negative coverage. Bloomberg says the new Essential Phone is reportedly designed to “free users” from their devices by using AI to handle simple tasks such as responding to text messages and emails. The phone is also tipped to adopt a unique design featuring a small display because users will interact with the new device primarily through voice commands. According to the report, it looks like Essential is putting all its resources into this new Android-powered smartphone. This means the Google Assistant, Alexa and Siri-powered Essential Home home speaker the company revealed a few months ago, likely won’t end up being released anytime soon. Though it doesn’t sound like this new Essential device will be designed for the average user, it will be interesting to see what Essential’s second effort at an Android device will look like.